HAPPY HOUR [4pm-6pm] $3.99 Margaritas + $2 Domestic Beer & $3 Imported Beer + $12 Beer Buckets  + Try our PALOMAS [Grapefruit soda & tequila] at only $5. LUNCH MENU Monday - Friday. 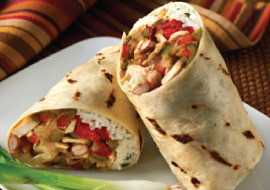 Several Lunch options starting at just $7.25. 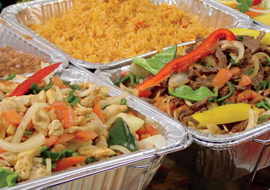 Salads, Quesadillas, Fajitas, Burritos and much more. 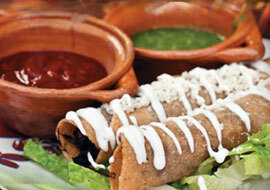 We are a full service casual family friendly Mexican restaurant serving the authentic flavors of Mexico. Our dishes will surely satisfy even the hungriest of appetites. Dine In & Take Out. Call in your order for faster service and we'll have it ready when you arrive. Stay tuned to our website for our monthly specials or sign up to become a VIP member and receive all discounts and special events happening at El Azteca Uno. 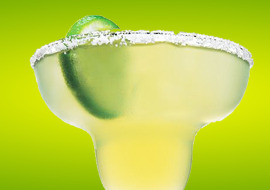 We offer the Best HAPPY HOUR in the Philadelphia Area $3.99 Margaritas - $2 Domestic Beer $3 Imported Beer and $12 Beer buckets (6) Monday - Friday 4pm - 6pm, we also have a Prix Fixe Lunch Menu at just $7.99 and includes entree and fountain drink to fit every budget. 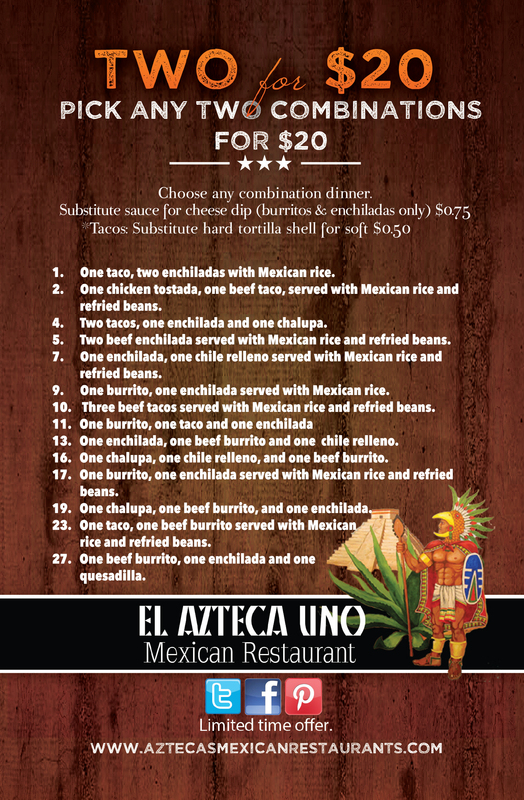 Whenever you're in the city, visit El Azteca Uno, we are steps away from the Liberty Bell in Old City Philadelphia. We look forward to serving you! !